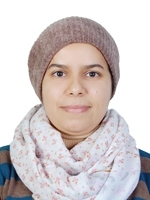 Amel Adouni received the Electrical-Automatic Engineering Diploma, the MSc and PhD degrees from National Engineering School of Gabes, Tunisia, in 2010, 2011 and 2016, respectively. She is currently a postdoctoral researcher at CISE – Electromechatronic Systems Research Centre, University of Beira Interior, Covilhã, Portugal. Her research interests are focused on renewable energies, machine drives, power electronics and fault diagnosis. Doctorate, Renewable Energy, Gabes, Gabes, Tunisia, 2016. Master, Automatic and Intelligent Techniques, Gabes, Gabes, Tunisia, 2011. Engineering, Electric-Automatic, Gabes, Gabes, Tunisia, 2010. Adouni, A.; Chariag, D.; Diallo, D.; Ben Hamed, M.; Sbita, L.: ''FDI Based on Artificial Neural Network for Low-Voltage-Ride-Through in DFIG-Based Wind Turbine''; ISA Transactions, Vol. 64, No. , pp. 353-364, September, 2016. Adouni, A.; François, B.; Sbita, L.: ''Open circuit fault detection and diagnosis in Pulse-Width Modulation Voltage Source Inverters based on novel pole voltage approach''; Transactions of the Institute of Measurement and Control, Vol. Vol. 38, No. n°7, pp. 795–804, July, 2016. Adouni, A.: ''Online steady state detection and isolation of fault measurements occurred by sensors and actuator''; International Review on Modelling and Simulations , Vol. Vol.7, No. n°5, pp. 768-774, October, 2014. Adouni, A.: ''Parity Space Approach Based DC Motor’s Fault Detection and Isolation''; International Review of Automatic Control, Vol. vol. 5, No. n°. 6, pp. 776-782, November, 2012. Adouni, A.; Chariag, D.; Diallo, D.; Delpha, C.; Sbita, L.: ''Statistical Analysis of Current-based Features for Dip Voltage Fault Detection''; IEEE Industrial Electronics Society Annual Conference, Beijing, China, pp. 4350 - 435, November, 2017. Adouni, A.; Elmellah, K.; Chariag, D.; Sbita, L.: ''DC-DC Converter Fault Diagnostic in PV System''; International Conference on Green Energy Conversion Systems, Hammamet, Tunisia, pp. 1 - 7, March, 2017. Elmellah, K.; Chariag, D.; Adouni, A.; Sbita, L.: ''A Grid Interfaced System with an Adaptive DC link Voltage''; International Conference on Green Energy Conversion Systems, Hammamet, Tunisia, pp. 1-7, March, 2017. Adouni, A.; Delpha, C.; Diallo, D.; Sbita, L.: ''Data-driven Approach for Dip Voltage Fault Detection and Identification based on Grid Current Vector Trajectory Analysis''; IEEE Industrial Electronics Society Annual Conference, Florence, Italy, pp. 6971 - 697, October, 2016. Adouni, A.; Abid, A.; Sbita, L.: ''A DC Motor Fault Detection, Isolation and Identification Based on A New Architecture Artificial Neural Network''; International Conference on Systems and Control, Marrakesh, Marocco, pp. 294 - 299, May, 2016. Adouni, A.; Sbita, L.: ''Robust FDI Scheme for Open-Circuit Fault in VSI based on Artificial Neural Network''; International Conference on Automation, Control Engineering and Computer Science, Hammemet, Tunisia, pp. 655-661, March, 2016. Adouni, A.; Diallo, D.; Sbita, L.: ''Voltage dip fault detection and identification based on Principal Component Analysis: Application to Wind Energy Conversion System''; IEEE International Symposium on Industrial Electronics, Rio De Janeiro, Brazil, pp. 867-872, June, 2015. Adouni, A.; Diallo, D.; Sbita, L.: ''Dip fault Detection and Identification to Improved Performance of Wind Generator System''; IEEE International Conference on Industrial Technology, Sevilla, Spain, pp. 3232 - 323, March, 2015. Adouni, A.; Diallo, D.; Sbita, L.: ''Dip voltage fault detection and identification for wind generator turbine farm based on current vector trajectory analysis''; International Renewable Energy Congress, Sousse, Tunisia, pp. 1-6, March, 2015. Adouni, A.; Diallo, D.; Sbita, L.: ''Current Vector Trajectory Analysis for Dip Voltage Fault Detection and Identification: Application to Wind Generator Turbine''; IEEE International Conference on Industrial Technology, Sevilla, Spain, pp. 3226 – 3, March, 2015. Adouni, A.; Ben Hamed, M.; Flah, A.; Sbita, L.: ''Sensor and actuator Fault Detection and Isolation based on Artificial Neural Networks and Fuzzy logic applied on induction motor''; International Conference on Control, Decision and Information Technologies, Hammamet, Tunisia, pp. 917 - 922, May, 2013. Abid, A.; Adouni, A.; Ben Hamed, M.; Sbita, L.: ''A New PV Cell Model Based on Multi Model Approach''; International Renewable Energy Congress, Mounastir, Tunisia, pp. , November, 2012. Adouni, A.; Ben Hamed, M.; Sbita, L.: ''Application of parity space approach in fault detection of DC motors''; International Conference on Renewable Energies and Vehicular Technology, Hammamet, Tunisia, pp. 446–451, March, 2012.